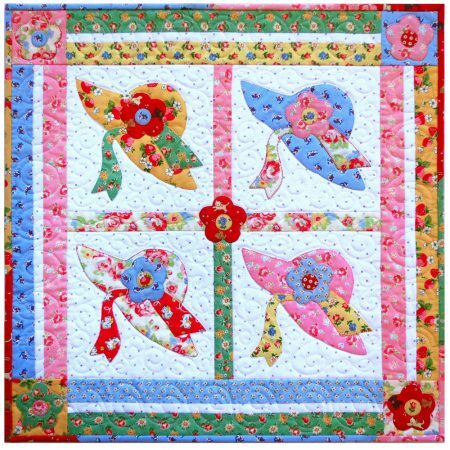 As I was working on this little quilt, I was thinking about the expression “wearing many hats,” as in serving many functions in life. We all wear many hats in the course of our busy lives. In my home life, I’m a domestic engineer, chief cook (but thankfully not bottle washer), dog cuddler/care overseer, cat lap provider/care overseer, foster kitten mom, vet clinic assistant, quilter, and the list goes on. In my professional life, I’m a designer, quiltmaker, illustrator, writer, page layout, typographer, editor, publisher, marketing department, paperwork shuffler, accountant, stock room supervisor, fulfillment services, the entire packing and shipping department. For my booth at shows I’m the schlepper, setter upper, public relations, the information desk, educational department, sales representative, customer service, cashier, and whatever else I need to be. I called this quilt More Than One Hat to represent all the hats that each one of us wears every day. I know your list is just as long as mine. :) How many will you wear today? Here’s hoping they are your favorites! Pattern available in the Etsy shop or the website, links below! Martingale has announced that they will be distributing books produced by Stitch Publications—including books by famed Japanese quilt designer Yoko Saito. 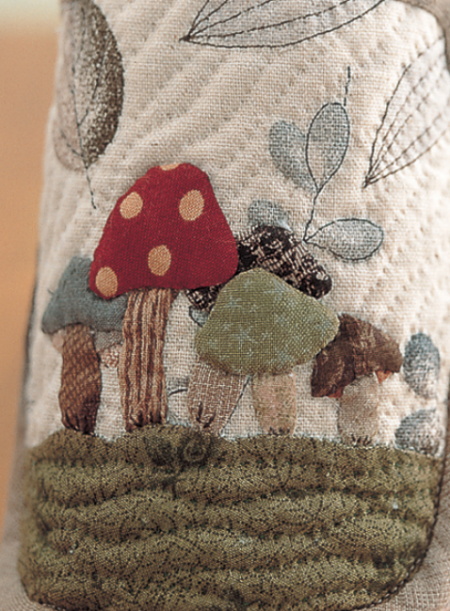 If you haven’t seen this book, 138 Original Appliqué Designs, you must take a look. It is incredible, in that incredibly sophisticated yet rustic and understated, thoroughly gorgeous Japanese way.